The fashion designer’s attempt at making a statement on gun reform creates a misleading impression that people who suffer from mental illness are violent. This is a disappointing misrepresentation of the facts and only serves to further stigmatize those suffering from mental illness. The vast majority of mentally ill people are not violent. Most violent acts are committed by people who are not mentally ill. In fact, people with mental illness are more than twice as likely to be the victims of violence as the general public. The numbers simply do not bear out what Mr. Cole is implying on his billboard. He does, however, get one thing right: many Americans with mental health issues don’t get the help they need. Only 2 in 5 adults with mental illness receive needed treatment. Those who go untreated are 4 to 6 times more likely to be incarcerated than those receiving treatment. The right answer here is to get people with mental illness treatment, not marginalize them, especially when stigma is one of the biggest barriers preventing people from receiving care. Lowering barriers to care will help get people in treatment earlier and help prevent many of the disabling aspects of mental illness. The Affordable Care Act and the Mental Health Parity and Addiction Equity Act together are helping address many of these barriers. Continued community support and funding for mental health services are also vital to ensuring that people with mental illness receive the care they need. Mr. Cole is to be commended for raising the issue of gun violence, but miscasting an entire population is the wrong way to achieve that goal. The APA, along with eight other medical groups, issued a joint recommendation labeling gun violence as a public health issue. We base our policies on the facts, and the facts don’t show that people with mental illness are a major cause of gun violence. Mr. Cole, I urge you to take down your billboard and #givestigmatheboot. This blog post is part of an occasional series highlighting how APA advocates on your behalf to support the profession of psychiatry and put our interests before key policymakers. Post by Renée Binder M.D. 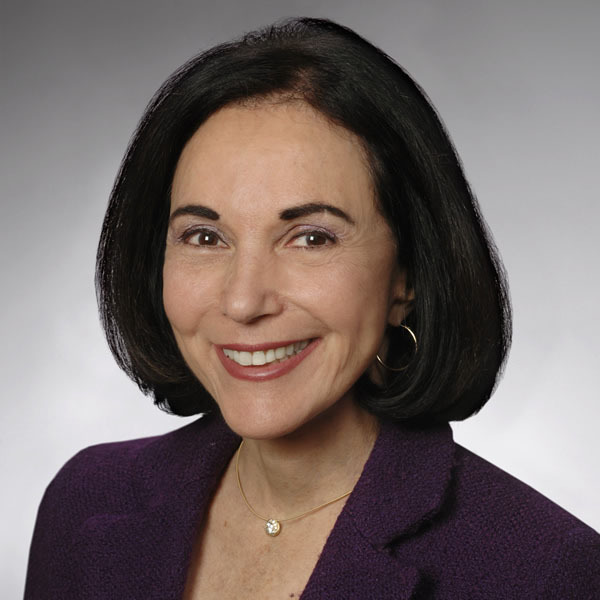 Renée Binder, M.D. is the Immediate Past President of APA. Read Dr. Binder's full biography. This is where we can illuminate people who make a positive difference in our world. Thank you for being a part of that. I commend you for personally and as President of the APA "doing the right thing": there are too many guns and missiles and drones and terrorists killing millions. To scapegoat persons with mental illness not only targets once again those who need compassion/care/cure, but also draws attention away from the real perpetrators and factors leading to violence. Mr. Cole's billboard is shocking. 40,000,000 who don't all have access to care is appalling. Our country's obsession with guns is horrifying. Once in a while these two subject matters collide. If it takes a controversial billboard to disrupt the conversation about our broken mental health care system...well played Mr. Cole. If it takes a controversial billboard to point out how ridiculous our guns laws are then, thank you Mr. Cole. Once again, Dr. Binder has hit the nail on the head!